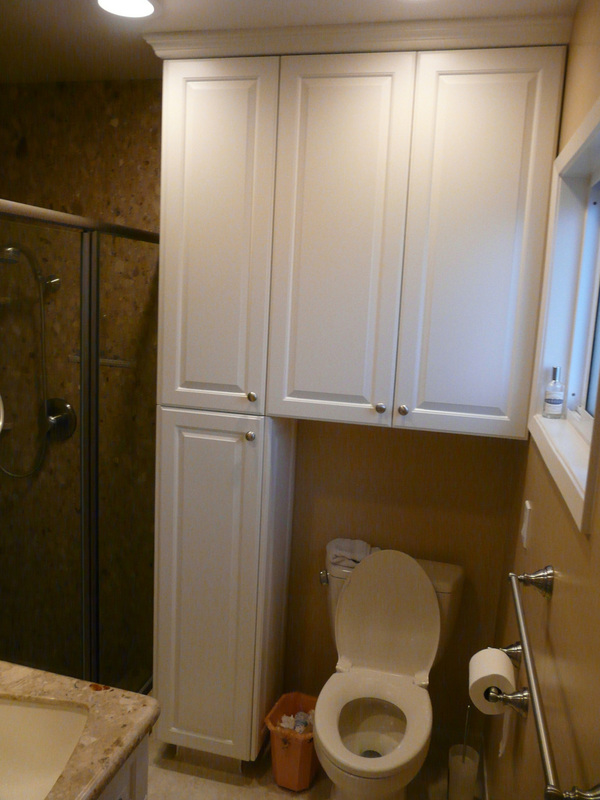 This tiny bathroom was cramped, dark, and damp. Its fixtures were outdated and worn out. 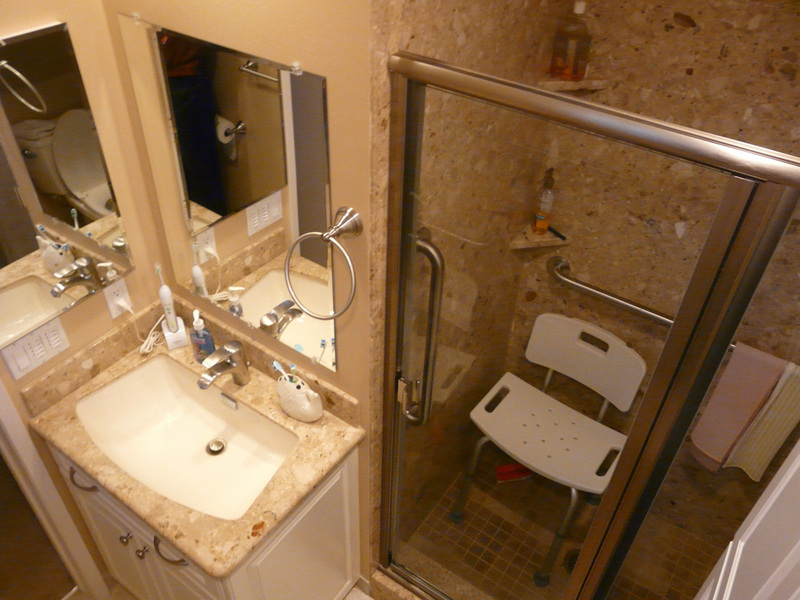 In rearranging this bath to open up the existing space to make it feel and function bigger and lighter, the key was to eliminate the original linen closet to your left as you look in the before pictures taken from the bathroom doorway. 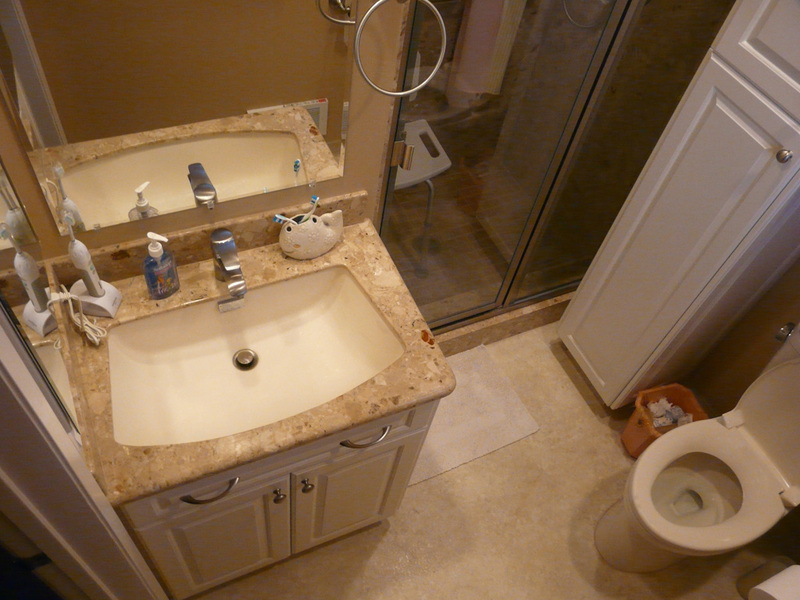 We relocated the sink to this original linen area, kept the shower in the same place as the original plan and moved the toilet away from the shower. 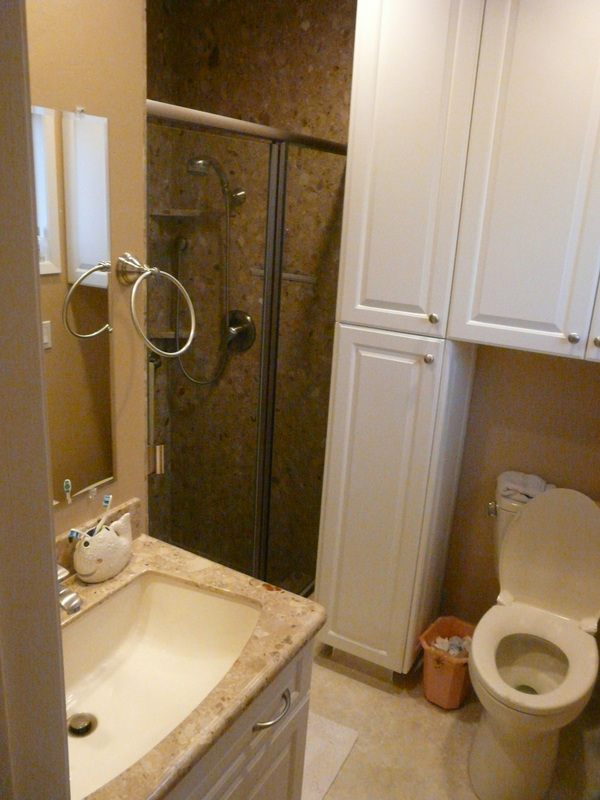 The toilet originally was so close to the shower it obstructed the shower entrance as can be seen in the before photos. 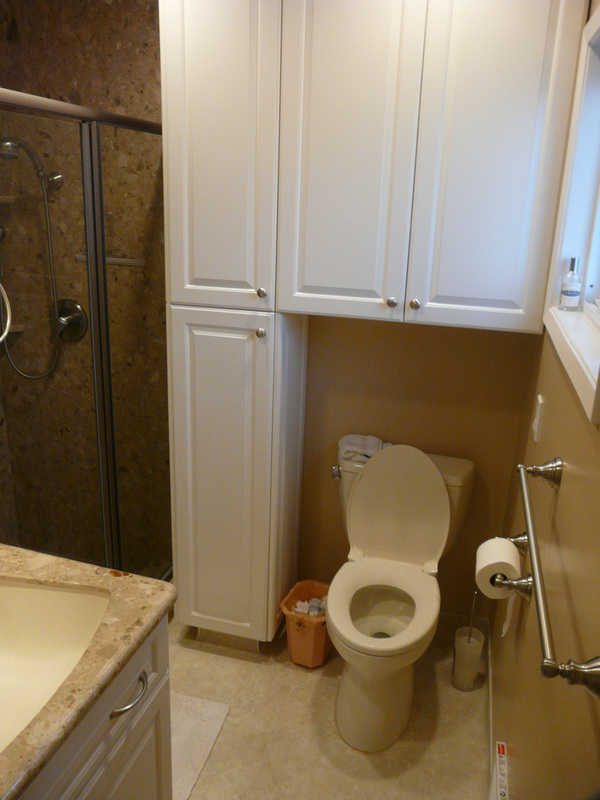 We then made shallow linen storage cabinets between the toilet and shower and above the toilet. 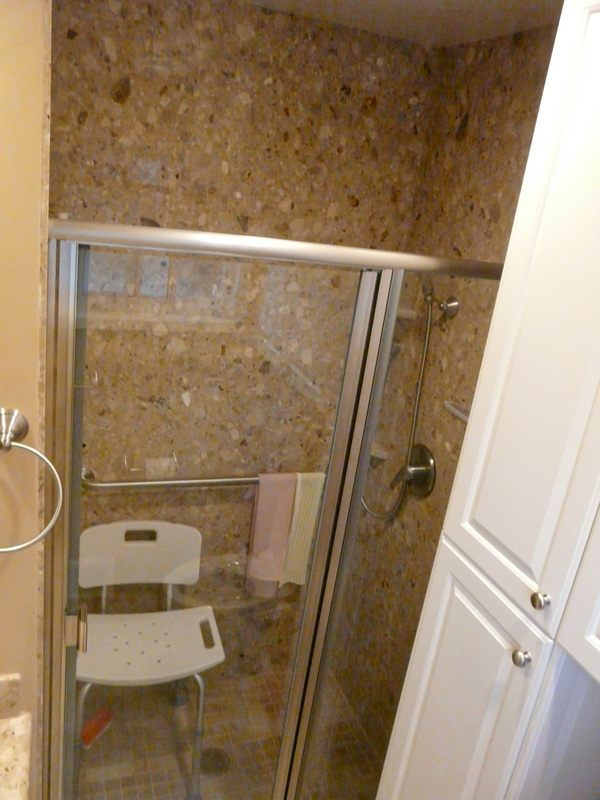 By adding clear shower doors, good LED lighting in the ceiling, and a good and quiet exhaust vent all this clients original concerns were met. 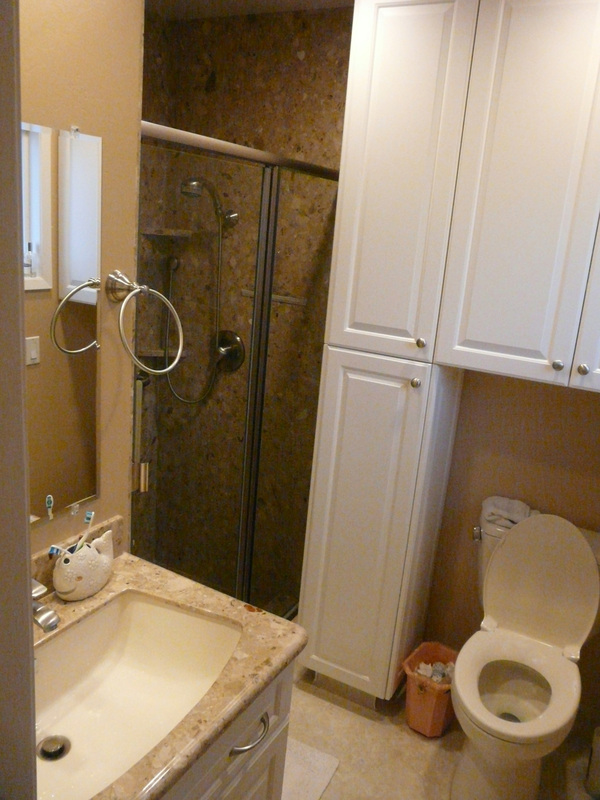 They now have a small bath that looks and feels larger and lighter. 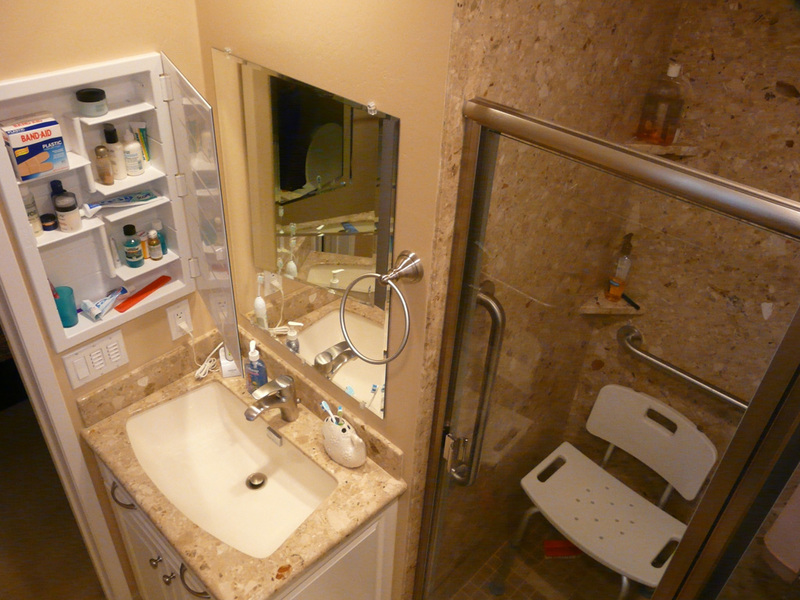 It is easier to move around in and actually has more total storage and more accessible storage.